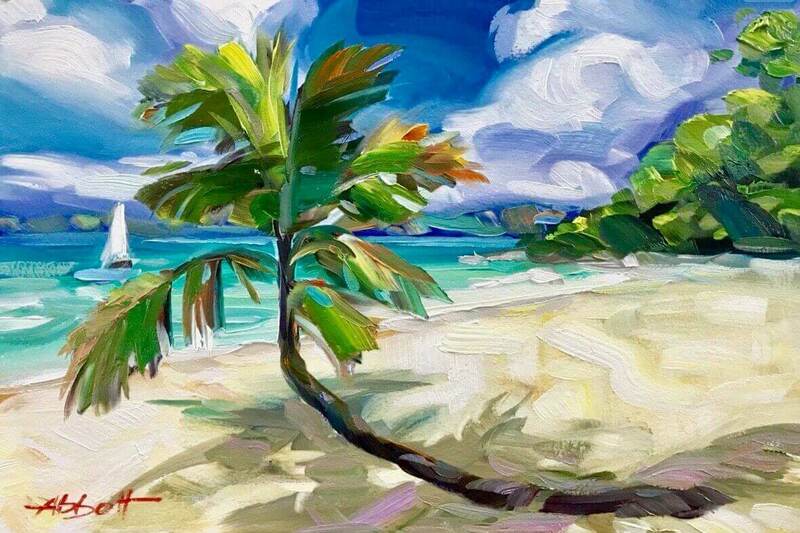 This is such a beautiful painting of a coconut palm tree that I thought I would share it with you. Some think it was painted at Solomon Beach on St. John. Without knowing who the artist is or any further information, I can’t say for sure. I attempted to find other artists with the same last name and compare the signatures but didn’t have any luck. If you’re interested in this listing, here is the link to find it on eBay. 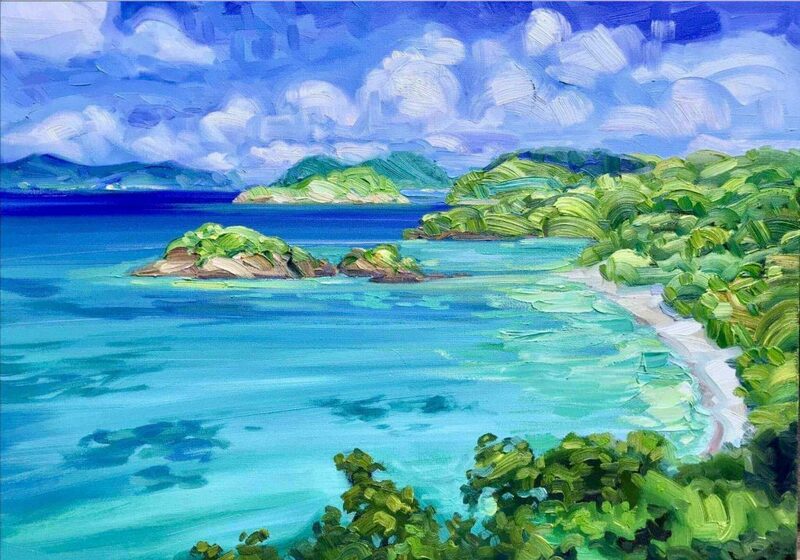 Update: Thanks to Dr. Dante Beretta, I have confirmation that indeed this is a painting of Solomon Beach. Have a look at his photograph. 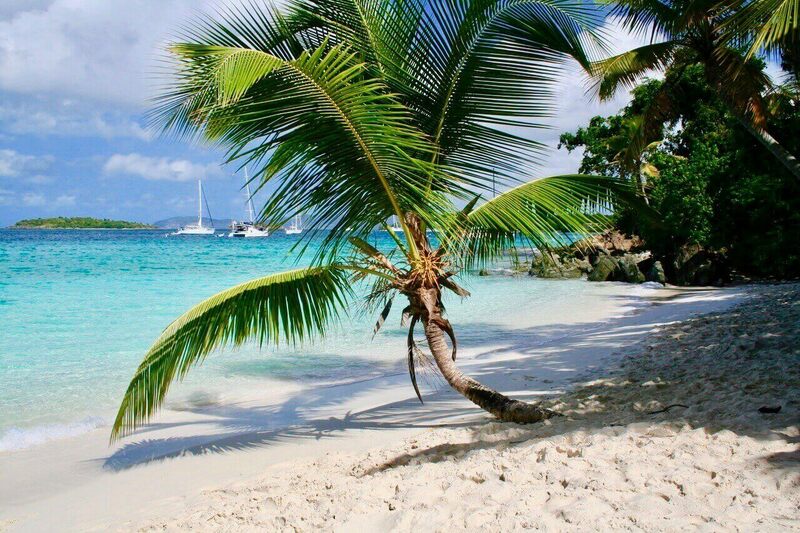 Solomon Beach is one of the prettiest beaches on St. John. It has the softest white sand, shade, and crystal clear blue water. It’s definitely a favorite with locals and visitors alike. No wonder the artist felt moved to capture it on canvas. Thank you, Dante! Update: Thanks to Todd S. Farrand, we know the identity of the artist. His name is Jason Abbott. To see more of his beautiful paintings visit this link. Here’s another of his paintings up for sale on eBay ~ October 2018. 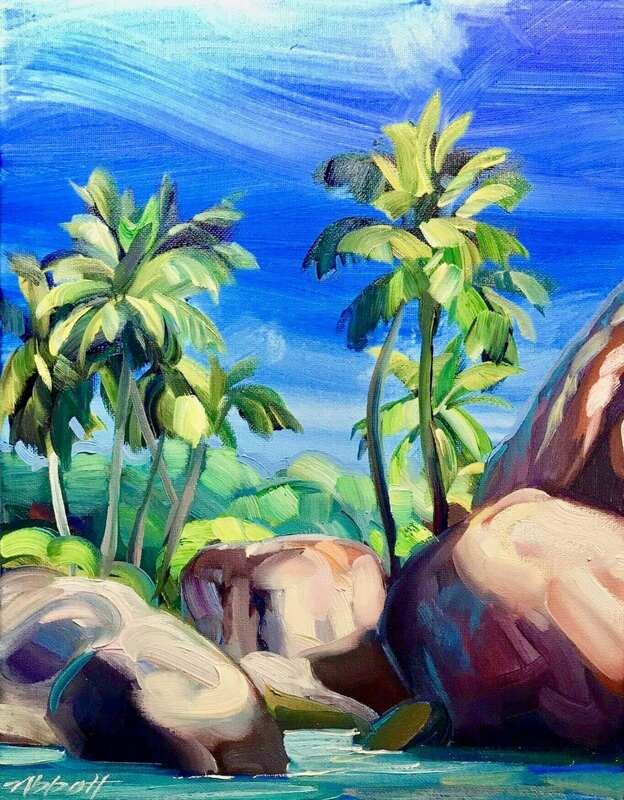 Here’s his Virgin Gorda painting of the Baths available on eBay ~ January 2019. 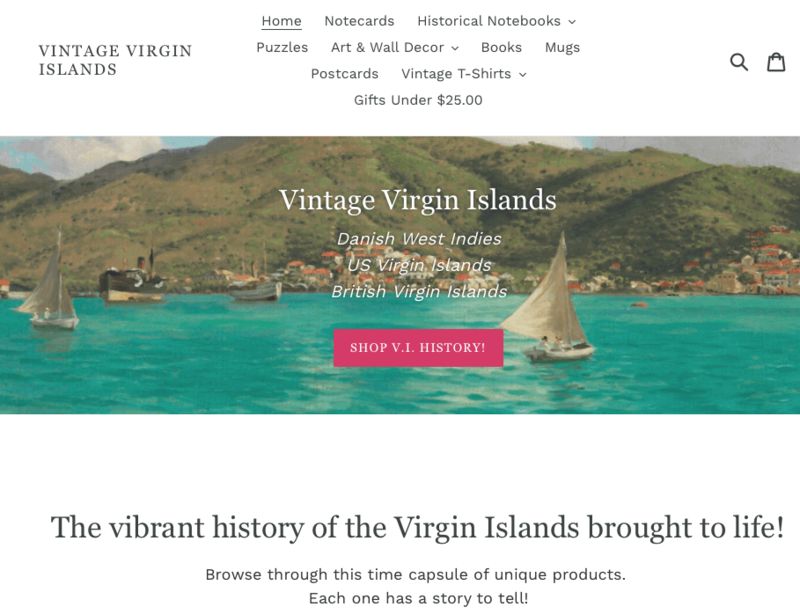 Shop historical prints and gifts!